Hello friends! Hope you all are doing fine. Today is my year end post and I want to wish each and everyone of you a very happy new year ahead. I also want to thank you all for being there, supporting me and bearing my tantrums too and helping me out in time of need. So as a big thank you to all of you out there without whom this blog would not have progressed I share with you a cake which I finally seemed to have got it right. 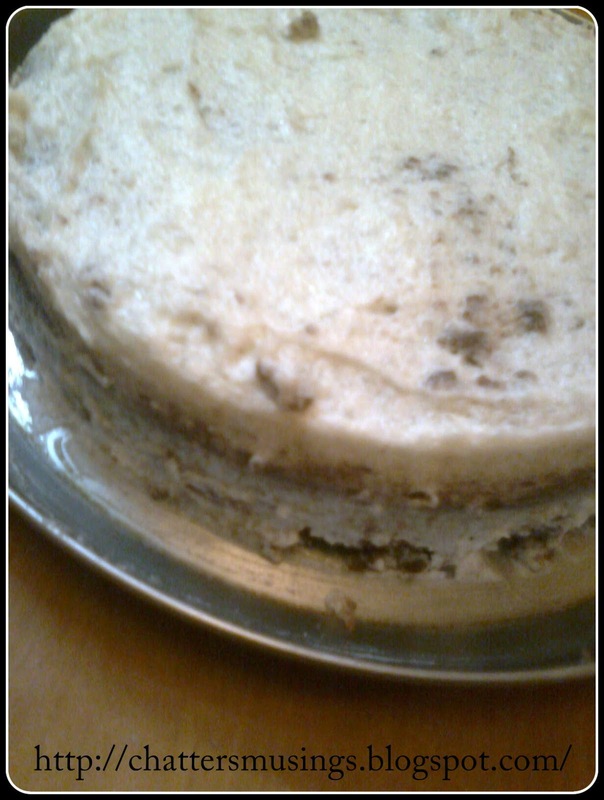 My recipe source is my blogger friend Kavi from foodomania and the help I also got from my friends with regards to icing on the cake. 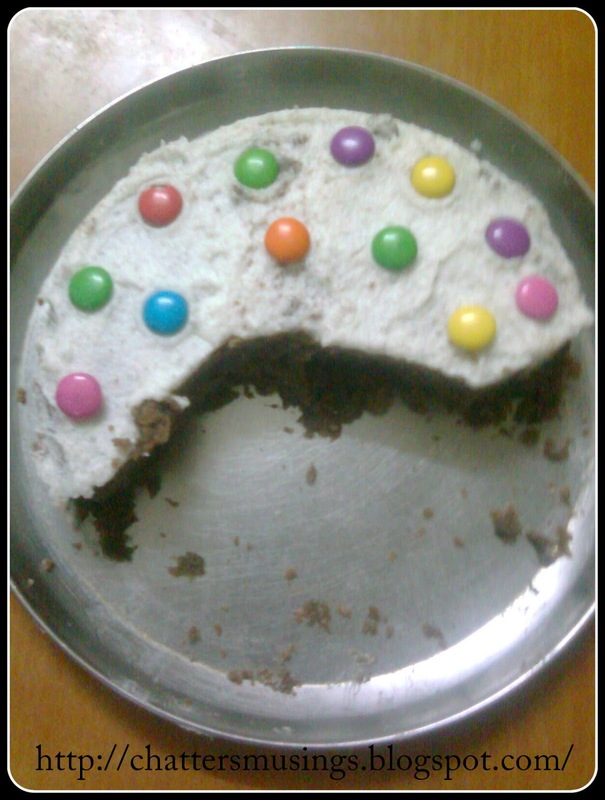 Let me share with you what happened once I made this cake. I wanted to bake this for my little 9yr old niece and wanted it to be real good. 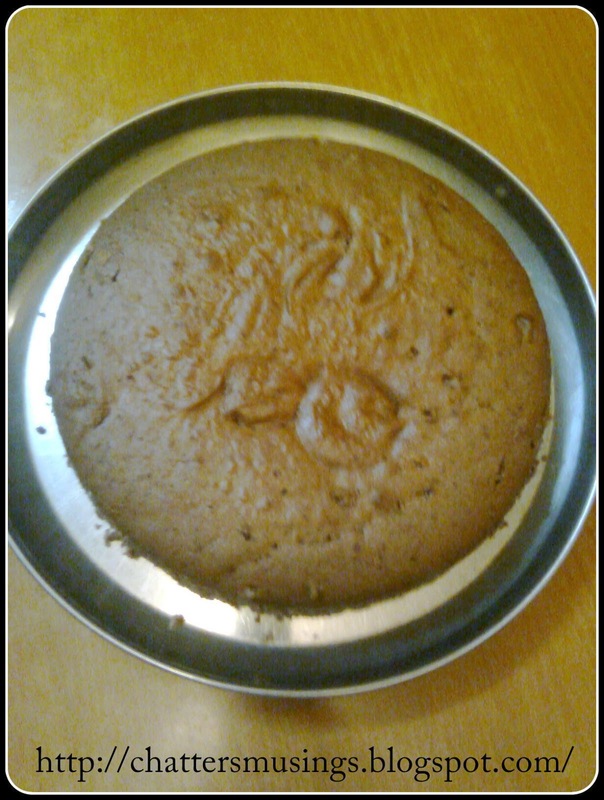 The icing work is bit shoddy but my cake came out the way I was hoping it would come out. Grease and line your baking pan. Add sugar to the curd and mix well to form smooth mixture. To the curd mixture, add baking powder, baking soda and salt. Beat the mixture till you see tiny bubbles in the curd. Let it rest for 5mins till more bubbles appear. Sieve the flour and cocoa twice. Add flour 1 spoon at time in the curd mixture. Keep mixing and stirring till all the flour is in curd mix. Pour the batter in the baking pan. Gently tap it to smoothen it. Cover the pan with aluminium foil and once the oven has reached required temperature put the pan in oven. Bake the cake for aprox 35-40 mins. Or till a tooth pick inserted in center comes out clean. 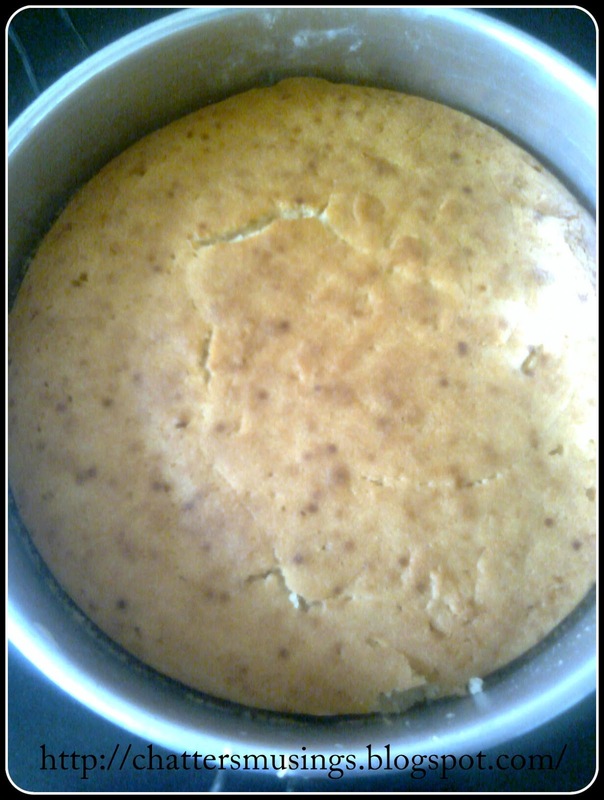 I always had problems at this stage so I kept the pan covered with foil for 30mins and later removed the foil to let it bake and nice crust forming on top. This way my cake was done perfectly well. Trial and error I guess. Remove the pan from oven and let it cool. I cooled this cake for a longer time and by the time I was ready to eat it was perfectly set. Once its cool invert and set it straight. For this cake I removed the butter paper but I found the cake bottom sticking to the plate so for my next cake I left the butter paper intact. The chocolate cake is ready but if you want icing here is the next step.The cake should cool enough for icing to set. Keep the butter at room temperature. Mix butter and sugar well and add milk and essence as per need to get smooth consistency. Spread on cake with a butter knife and decorate it as per your liking. The end pic I had added gems candies later as my cake was ready and no one was waiting so I had to decorate with candies later and take pic. This cake got finished in a day. 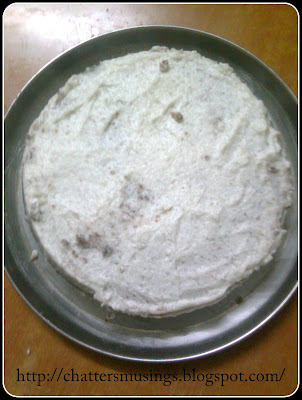 So I made another one next day but plain vanilla sponge cake. 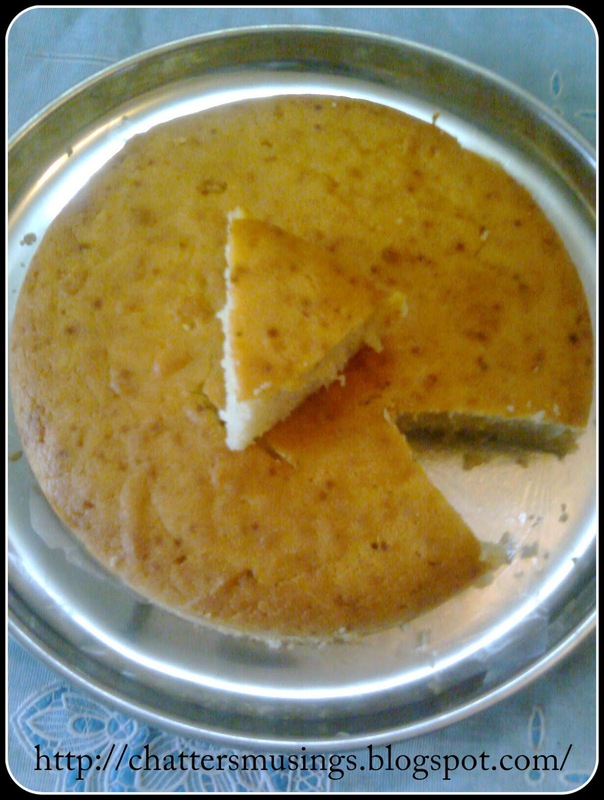 Just skip the cocoa powder in above cake ingredients and voila your vanilla cake is ready. Hope you like this and my icing was bit shoddy but I would pick up soon when I make cake next time. Enjoy the cake and I am so delighted with my attempts that the look I got from my family was worth making the two cakes. I would still learn to do the icing correct now that I finally got my cake good. Happy new year to all of you. Good to see another recipe and such a delightful one too! 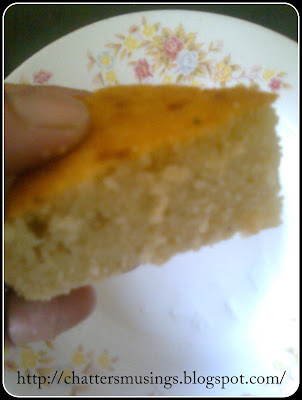 The cake looks soft and spongy, want some with my tea now. Wish you a Very Happy New Year Meena, have a great year ahead!! Congrats on finally nailing the cake baking part!! :) The frosting looks pretty awesome too! cake looks perfectly baked..loved the colourful gems on top! Happy new year wishes to you and your family.Super spongy cake. Wow Meena! Cake looks sooooo soft. Wish you a Happy New Year dear Meena, and a lovely beginning of the new year with a tempting cake. Looks great and sure must have tasted equally good too. Very nice recipe. Thanks for sharing. Thank you for your valuable comments. Each of your comments keeps me motivated to write more.However,please leave your name when you comment as anonymous commentator would remain anonymous and chances are that comment may not be published :)Thank you so much. Copyright © 2012 Chattersmusings. All rights reserved. 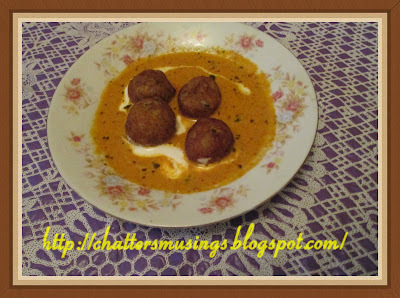 All text and watermarked image on this site, except where otherwise noted, is the property of Chattersmusings and the text or watermarked image of this website may not be copied, translated or distributed in any manner (electronic, web or printed) without the prior written consent of admin at Chattersmusings.